Johann Melchior Dreyer was a well-known organist, choir director, violinist, singer, and composer in Ellwangen (Northeastern Swabia). His numerous Masses and other sacred music works were published in Augsburg during his lifetime. Widely disseminated in Central Europe and beyond until the mid-nineteenth century, they were held in high regard. His chamber music works, on the other hand, were and are less well known. 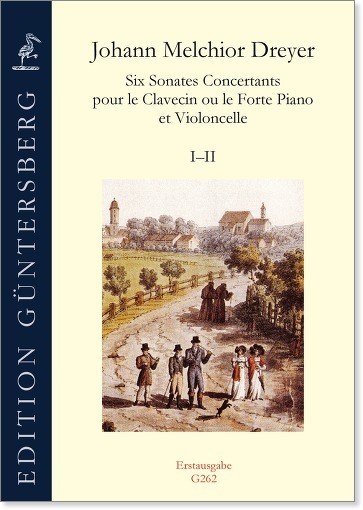 The present early Classical sonatas, which were composed in the 1780s, have a largely optimistic character, florid melodies, and harmonic lightness. The manuscript is held in a private collection. 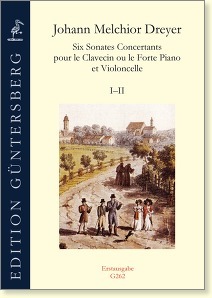 We are pleased to be able to publish these sonatas for the first time.